I am a UK Registered Dietitian with the Health and Care Professions Council (HCPC) and I am a member of the British Dietetic Association (BDA). I aim to use my scientific knowledge, clinical skills and expertise as a dietitian in an accurate and professionally responsible manner. Transparency is important in social media as is ethics in any writing or reporting. 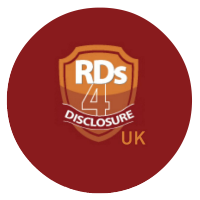 I have signed up to RDs4Disclosure & RDs4Disclosure UK and have pledged to blog with integrity. This means I am bound by an ethical code of conduct and will not provide false and misleading information. I never make or support unjustifiable statements relating to particular products (as per HCPC & BDA guidelines) or promote one product over another (as per food industry regulations). The advice given on this website is aimed at the adult general public and should not be used as an alternative to personally tailored advice given by your own dietitian, doctor or nurse. All of the opinions on this website are my own and are 100% honest but you have the right to know if I have accepted money or ‘freebies’ (samples) in the process of formulating those views (as per the CMA). It is my policy to only accept compensation from companies I believe in and would already buy myself from/recommend. A product mention or feature does not imply endorsement or recommendation of the product in question. My aim is to motivate and inspire others to lead healthier and subsequently happier lives, one step at a time. I do this by writing about nutrition, providing healthy lifestyle tips, creating healthy recipes and reviewing products, all of which I share via this blog. I promote all foods to be eaten in moderation as a part of a healthy balanced diet. I believe that variety is the spice of life and that foods cannot be classed as ‘good’ and ‘bad’. I promote healthy lifestyles as a way of life, rather than fad/short-term diets. This blog is a reflection of who I am personally and professionally and you can rest assured that I will only blog about products and services I truly love. 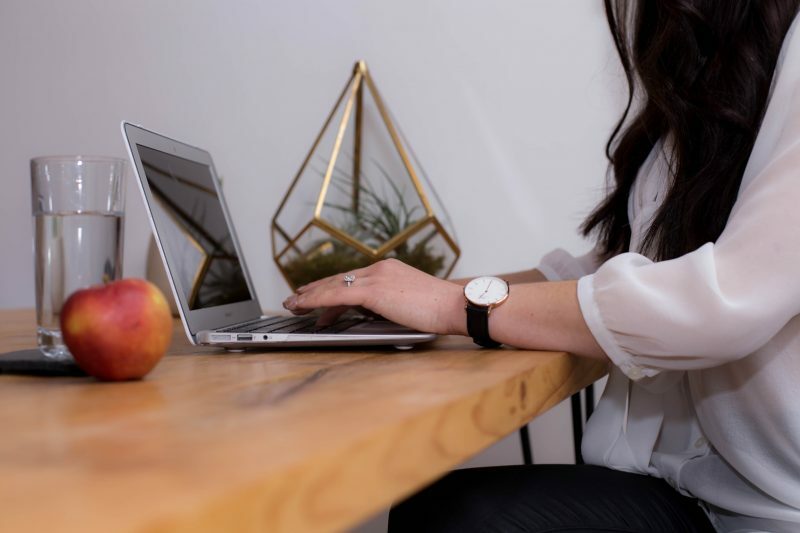 This blog is my hobby and passion, and although it takes up a considerable amount of my ‘free time’ outside my day work, I love it and I truly appreciate every single comment that you leave – it keeps me going! I read every single message and comment and I endeavour to reply to all of them. I only ever review or feature products/services which I personally would buy and that I believe, as a dietitian, could enhance the health, well-being and/or diet variety of my readers. I am lucky enough to be occasionally sent samples of products to try, however I only blog about the ones that I personally and professionally like and that I would buy with my own money. If I do receive a sample there will be a statement saying this at the end of the blog post. Any reviews of products are based on my personal preference (taste) and a nutrition assessment based on my professional observation and training as a registered dietitian. Any rewards e.g. samples received, do not play a part in the products and services featured/used or statements written on this blog (as per HCPC & BDA guidelines). If I do not like a product, rather than write a negative review, I will not feature it on my blog. I cannot and will not be swayed by incentives of any form. If a product doesn’t fit with my philosophy, has claims based on pseudoscience ,or (in my opinion) will not enhance the wellbeing of my readers (e.g. diet pills, junk food etc.) I won’t feature it. I cannot and will not be swayed by incentives of any kind. If the end of a blog post is marked as “sponsored” or “AD”, a company has compensated me either via money, a gift, or something else of value for the time taken to write it. Regardless, all comments are my own, are 100% honest and are not influenced by the incentive. Any rewards received do not play a part in the products and services featured/used or statements written on this blog (as per HCPC & BDA guidelines). I decline sponsored blog posts from companies that I do not believe will enhance the wellbeing of my readers e.g. has claims based on pseudoscience. I cannot and will not be swayed by incentives of any kind. On social media #AD gives reference to a sponsored blog post if the company is mentioned within the status. I occasionally use protein powders within my recipes as this is one way that I am able to decrease the calorie content of my recipes/increase the satiety (fullness) value (to help with weight management). I do not recommend protein powders or protein drinks routinely, however believe that they can be convenient if individuals have relatively high protein needs which cannot be met by food alone e.g. a strength athlete trying to gain weight may require as much as 2g protein per Kg body weight a day. I recommend that you follow personal advice provided to you by your dietitian, doctor or nurse regarding the intake of protein powders or protein drinks. I personally take a multivitamin containing vitamin D as a way of ensuring that I reach my recommended daily nutrient intakes however I would recommend that you speak to your doctor or dietitian before taking one. If you have been diagnosed with coeliac disease, you will need to follow a gluten-free diet. Please see NHS Choices for more information. If my recipes are marked as ‘gluten free’ it is still your responsibility to check that each ingredient used is labelled ‘gluten free’ e.g. oats, as ingredients and products vary on their gluten content depending on the brand/processing methods. If you are following a gluten free diet I recommend you follow personal advice provided to you by your doctor, nurse and/or dietitian. If a recipe is tagged as ‘vegetarian’ or ‘vegan’ it is still your responsibility to check that each ingredient used is indeed vegetarian/vegan. If milk is used in a vegan recipe then do not use cow’s milk (as this is not a vegan product). If honey is used in a vegan recipe then please use an alternate liquid sweetener such as maple syrup or agave nectar. Fish may be present in my ‘Meat Free Monday’ recipes (main courses for Meat Free Mondays are highlighted), which you can omit at your leisure. If you are following a vegetarian/vegan diet I recommend you follow personal advice provided to you by your doctor, nurse and dietitian. More information can be found at NHS Choices. I receive many questions about where ingredients/products/services used/mentioned can be purchased and so I link to (where possible) where either I personally have obtained them or where you can purchase them easily and at a reasonable price. My blog content (advice and recipes) remain free to all because of the addition of affiliate links/codes; each blog post takes a considerable amount of time to write and each recipe takes a considerable amount of time and also money to develop/make. If you click certain hyperlinks and purchase items or use my discount code, in some cases I may receive a small commission e.g. from Amazon. Affiliate links do not affect the price that you pay. If I link to an e-shop, it is not that I endorse the advice that they may give or their philosophy, it is merely a place where either I obtained the product in question, or that you can purchase it. All blog posts containing affiliate links/codes are clearly labelled at the end. I occasionally post carefully selected discount codes which reduce the price of certain products that I link to e.g. nut butters, which may mean that making my recipes is cheaper for you. I do this to benefit my readers and followers and I too may also use them. Any adverts/links displayed on this blog do not imply a recommendation, however they are selected in line with my blog’s philosophy of health and wellbeing. Adverts are present with the purpose of generating a revenue in order to sustain the day to day runnings of this blog i.e. hosting costs, cost of ingredients, baking equipment, travel, photography equipment and filming equipment, all of which will be bought with the aim of enhancing your reading experience. I periodically hold competitions/giveaways on my blog as a way of interacting with my readers and providing an opportunity for others to try new products. I do not promote the products that I giveaway more than others that I do not. Most of the giveaway prizes featured have been provided to me free of charge however, sometimes I use my own money to purchase them (prizes provided free of charge will be highlighted). I am very selective about the products that I giveaway and take into account both my personal taste and professional opinion as a dietitian based on the nutritional content/type of product. 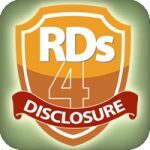 Most of my competitions and giveaways as from October 2013 are carried out using Rafflecopter where winners are picked at random, using the widget itself. Winners are announced within the widget, as well as on social media and in my newsletter (see below). Unless stated otherwise, giveaways are open to UK residents only due to postage. Your email address will be added to my newsletter if you request to join the newsletter either via my home-page or the link provided. I endeavour to send my newsletter towards the start of every month using MailChimp. I will not pass on your email address to anyone unless it is needed to send a giveaway prize, which I will check with you first about. Please add nichola at nicsnutritition dot com to your contacts/address book and check your spam box if you do not receive my newsletter and you believe that you have subscribed before contacting me. You have the right to unsubscribe from my weekly email at any time (using the link provided within each newsletter).